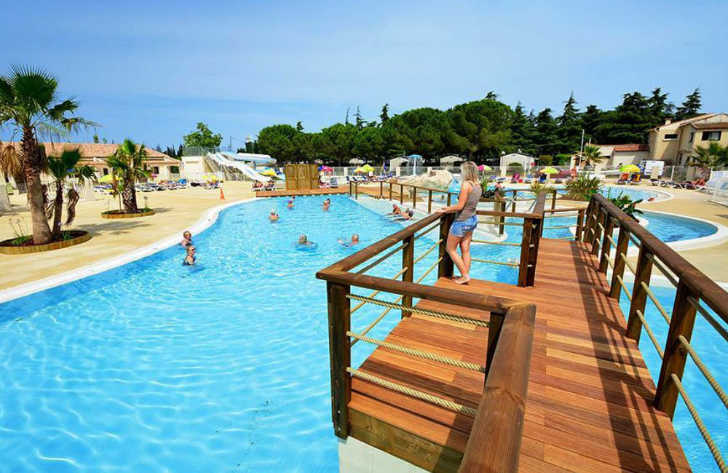 Campsite Bon Port is a pleasant 4 star traditional French campsite that lies within the heart of the countryside and is perfect for those families looking to get away from the hustle and bustle of some of the busier resorts in the South of France. Set within 5 hectares of wooded parkland, Campsite Bon Port is a quiet and friendly campsite which has been owned by the same family for over 30 years. Although set within the countryside, the campsite is still close to the local town and not far from the wonderful Mediterranean sea. Lunel is just 3km to the north of the campsite and is the nearest town. Lunel has all the amenities you could require whilst on holiday including bars, restaurants, shops, supermarkets, banks, pharmacies and anything else you could possibly think of. The nearest beach to Campsite Bon Port is located a little under 13km away at La Grande-Motte. A lovely seaside resort, La Grande-Motte features a lovely sandy beach with plenty of space to sunbathe, swim and play games. At the back of the beach there’s a variety of shops, bars, restaurants and cafes where you can sit back relax and watch the world go by. At the heart of Campsite Bon Port is it’s excellent swimming pool complex which is fantastic for families of all ages. The aquatic centre features 2 water slides and a slide loop, a paddling pool with slide for younger children, a large heated pool with spa, a second large pool and a solarium. Campsite Bon Port offers a comprehensive range of activities and facilities on site to ensure you have a fantastic family holiday. On site activities at Campsite Bon Port include a multi sports area, football, basketball, boules, table tennis, archery, aqua gym, cycle hire and playground. Facilities available at Campsite Bon Port include WIFI, restaurant, pizzeria, snack bar, takeaway, bar, groceries, animation team, games room, tv room, washers and dryers. Accommodation at Campsite Bon Port includes a range of 2 and 3 bedroom mobile homes and tents that are available from Suncamp. You can also book camping pitches for your own tent, mobile home or caravan at Campsite Bon Port.